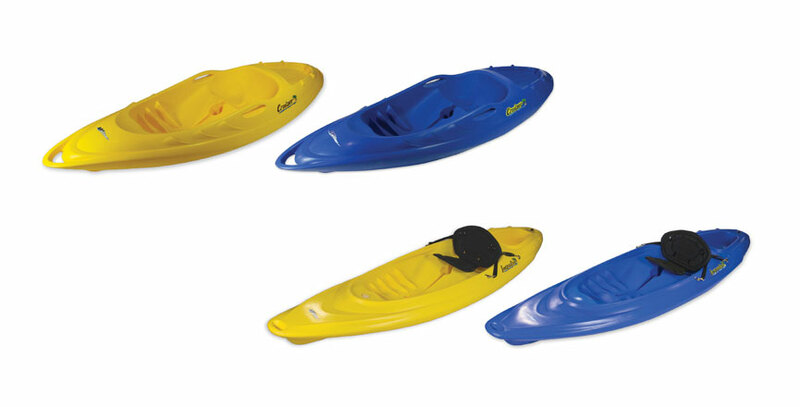 Our sit-on-top style Wave Kayaks are fun, comfortable and stable recreational kayaks designed for use on lakes and slower moving rivers. 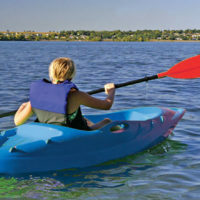 Wave Kayaks glide effortlessly through the water for paddlers of all ages and abilities. Entry-level kayak, perfect for the beginning paddler who wants a quick escape on the lake. Available in blue or yellow. 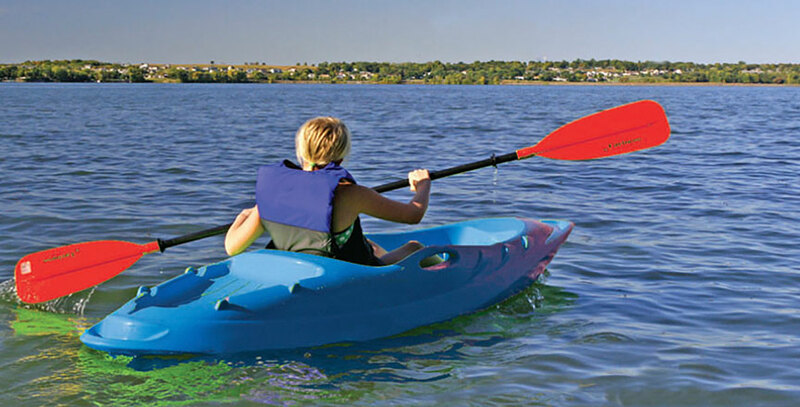 Our deluxe kayak is the perfect vehicle for an afternoon of summer paddling. Available in blue or yellow. 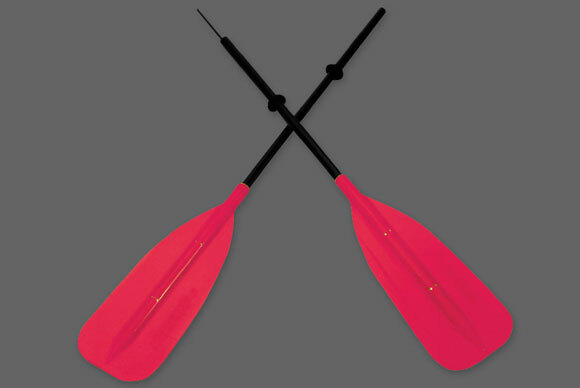 7′ Paddle with two-piece design easily breaks down for storage and transport. 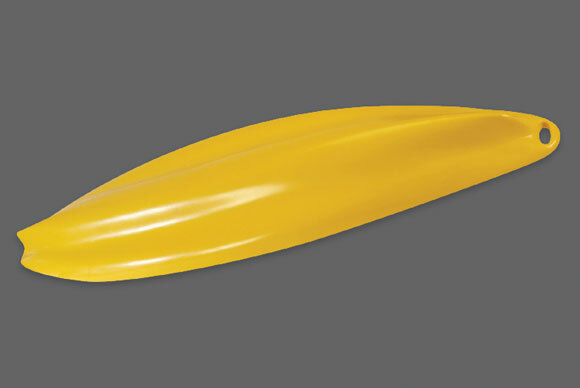 Kayak bottoms are designed with superior stability and a high-speed hull for reducing drag.